All outdoor enthusiasts, but especially hunters, anglers, and wild game photographers will benefit from the remarkable qualities of HUNTERS EDGE®. Relieves itching & stinging from insects & plants. Removes fish and bait smells from hands. Eliminates soap smells from clothing. Absorb Body Odors and perspiration. Repels fleas, tick, and other insects. HUNTERS EDGE® is not just a cover-up product. It truly eliminates odors. 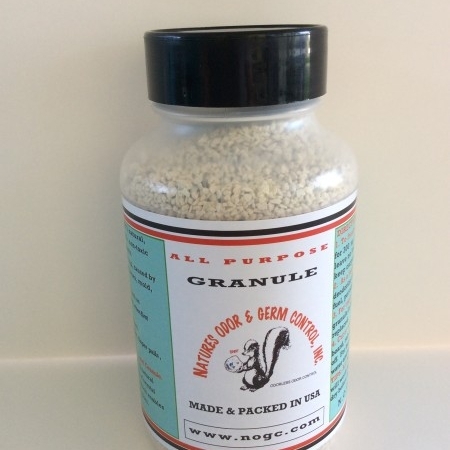 The product is odorless, non-toxic, and safe. HUNTERS EDGE® powder eliminates all trace of human scent in the field. It’s like being invisible! Nature has the answer, not chemicals. 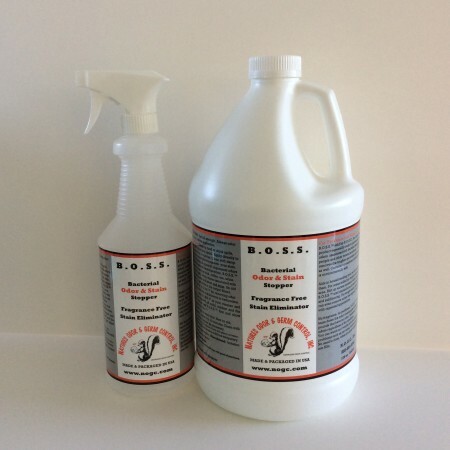 HUNTERS EDGE® Spray odorless scent control when used in conjunction with HUNTERS EDGE® Powder is the ultimate odor and scent control for serious hunters, these products work so well that if you were to get lost even a bloodhound could not track you. Our spray works quickly and safely to eliminate human scent and all other odor. Use full strength and spray up in the air, and walk into the spray, or spray on your clothes and hat band. Just any place you would feel better to know you have no odor. HUNTERS EDGE® Spray odorless scent control (16 oz.) when used in conjunction with HUNTERS EDGE® Powder (8 oz.) is the ultimate odor and scent control for serious hunters, these products work so well that if you were to get lost even a bloodhound could not track you. Our spray works quickly and safely to eliminate human scent and all other odor. Use full strength and spray up in the air, and walk into the spray, or spray on your clothes and hat band. Just any place you would feel better to know you have no odor. Safe to use around children, pets, and plants. 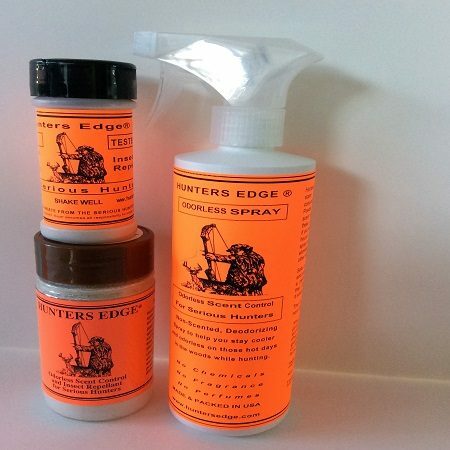 HUNTERS EDGE® is not a perfumed or scented deodorizer that disguises or masks odors. It simply eliminates odors naturally. These products are non- allergenic, non-staining and non-toxic. WIND TESTER For Serious Hunters (2 oz.) – It also is great for testing wind direction, which makes it more versatile. “ WARNING”! DO NOT USE THESE products UNLESS YOU ARE SERIOUS ABOUT CLOSE ENCOUNTERS.